A video tweeted by Chinese publication shows the bride steering a bus that is decorated with balloons and pictures of the happy couple. Reportedly, the lady is also a bus driver who also supports green travel said that she wanted to support this cause and hence supposedly choose to take a bus on her D-day. You can never see enough of all the bizarre stuff the world has to offer. Take, for instance, this bride in China who is breaking all the stereotypes when she decided to go for her wedding on a bus all by herself. No kidding! 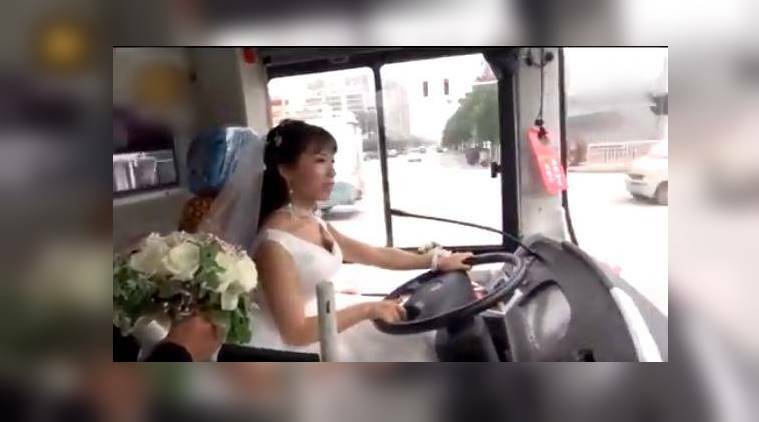 This Chinese bride decided to drive herself in a bus all the way to her wedding hall. Moreover, she even stopped on the way to pick up her groom. A video tweeted by a Chinese publication shows the bride steering a bus decorated with balloons and pictures of the happy couple. Reportedly, the lady is also a bus driver who supports green travel. Since she supports this cause, she supposedly chose to take a bus on her D-day.